In the United States, the time will change Sunday, November 5. That is one month from today, so this is your friendly one-month reminder and warning. Depending on how you feel about the time change. I have several posts to help you out with this transition. 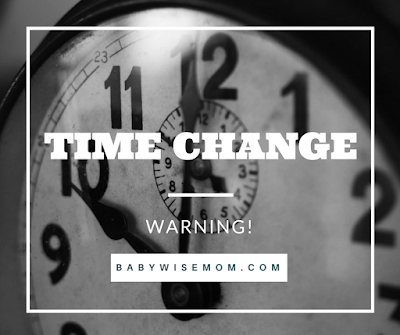 The fall time change is the most difficult one for little children. In the fall, if they wake up at 7 AM, what their body feels as 7 AM is the new 6 AM. It is hard to convince a ten month old to just sleep in an extra hour. If your child is used to eating lunch at noon, noon is now 11 AM. If your child is used to going to bed at night at 8 PM, this is now 7 PM, so your child is ready for bed earlier than is ideal for your ideal schedule. So it can be tricky. 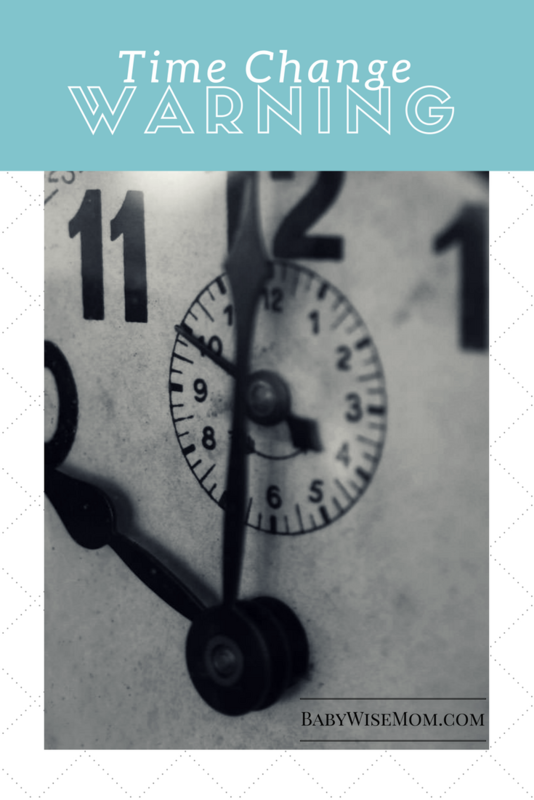 There is more than one way to prepare (or not prepare) for the time change, and there isn’t necessarily one right way to do so. There will be a way that works best for your child and for your family, but there isn’t one right way for the world at large to prepare. 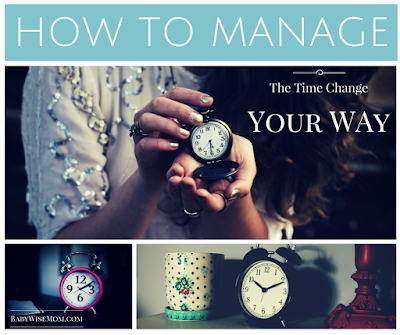 See this post for various ways people approach the time change to see what works best for you. You can know what is coming up before it is published here by signing up for my weekly breakdown to be delivered to your inbox each Monday morning. Hi Valerie, could you please give me some advice about my twin girls' schedule? They are almost 24 weeks. With the time change coming soon, I just don't know how to help them adjust. They CANNOT stay up any later than 6:00pm. It's like the clock strikes 6 and they suddenly cannot cope with life and are usually screaming while we get them ready for bed. I have been trying to keep them up a little later each evening but it just isn't working! After the time change they will want to go to bed at 5pm if I don't figure this out…Their current schedule:7:30am–wake and nurse (I usually wake them)9:00–nap10:30–wake11:00–nurse 12:15pm–nap2:15-3:00–wake3:00–nurse4:30–catnap (30min)5:00–wake6:00–nurse then bed 9:30–dreamfeedAs you can see, they are waking from naps before nursing times, but I hold them off because they seem content.It just doesn't seem right that they want to sleep 13.5 hours each night, but I can't seem to keep them up in the evening without them shrieking like they are being tortured. Any ideas? Thanks so much! Have you tried starting the day later? Since you are having to wake them, I would start with getting them up at 7:45 instead and go from there and shift the whole day.If they just won't shift bedtime, then when the time change comes, I would put them down at 5 (old 6), then treat it like a nap and get them up again later. Over time, they should adjust. Thank you for your advice, Valerie! I started getting them at 8 every morning and they have moved their bedtime back to almost 7pm. Hurray! Thanks again for your help!